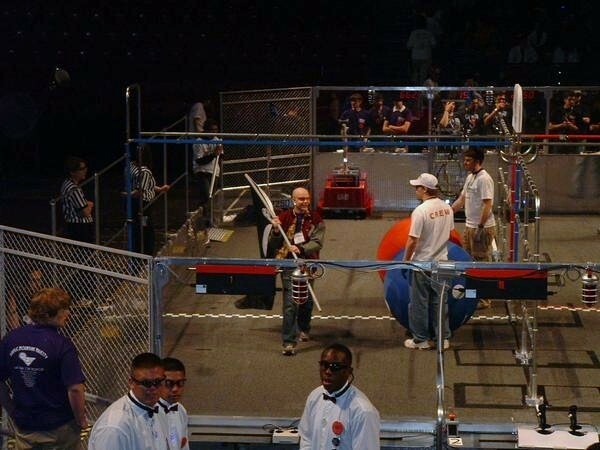 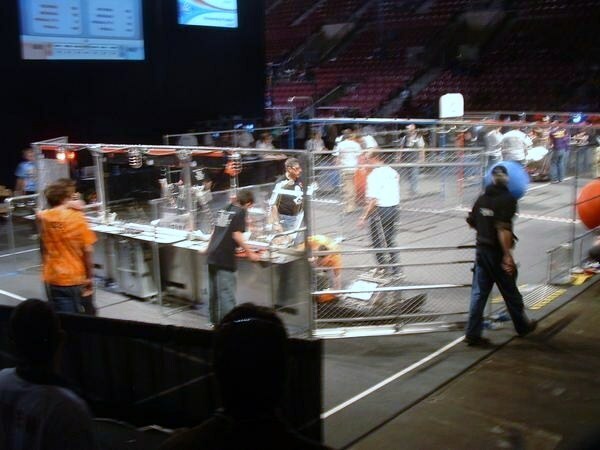 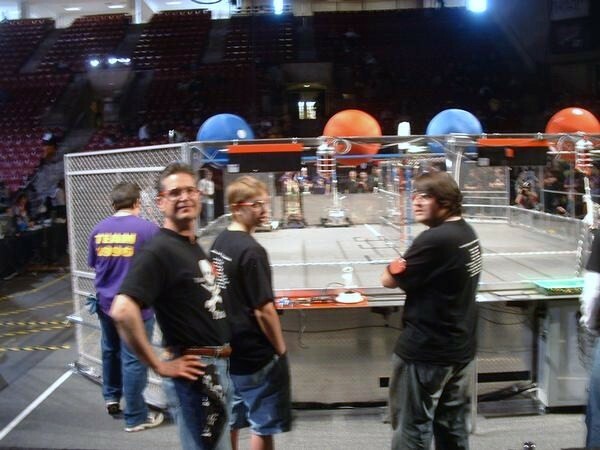 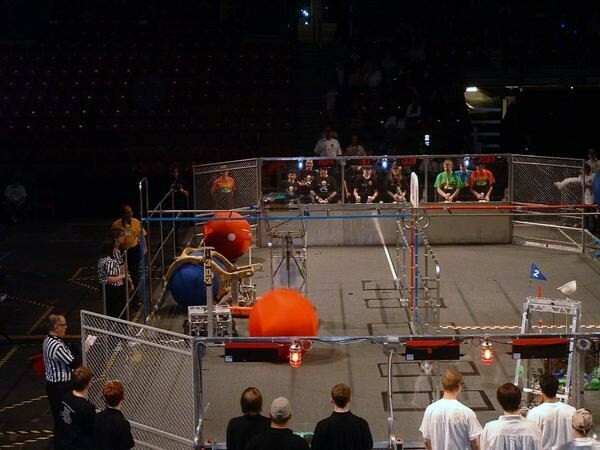 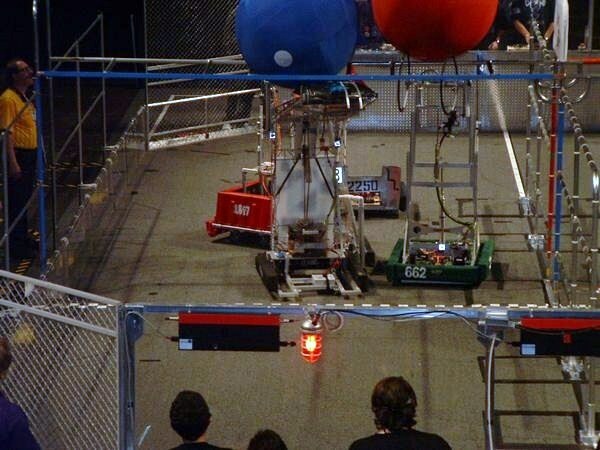 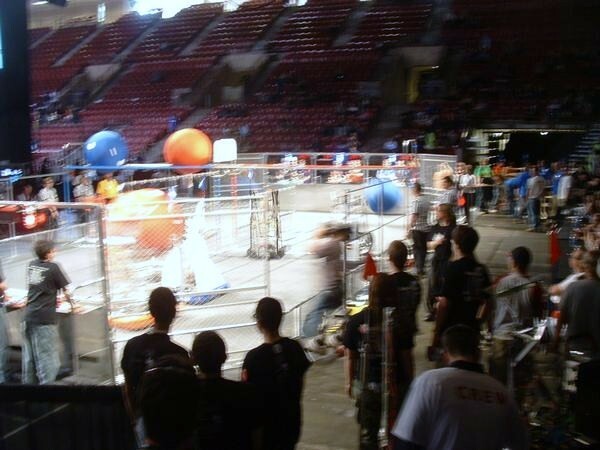 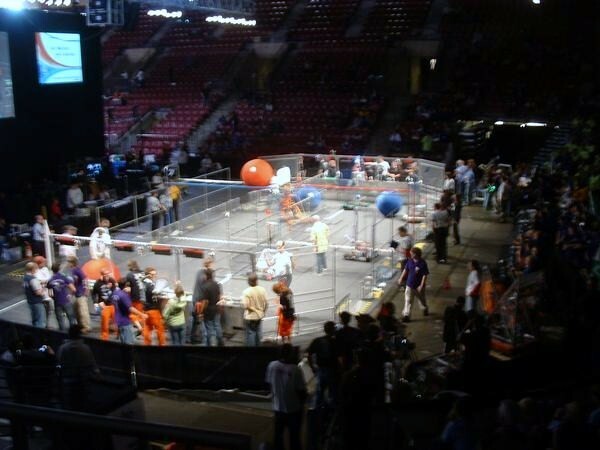 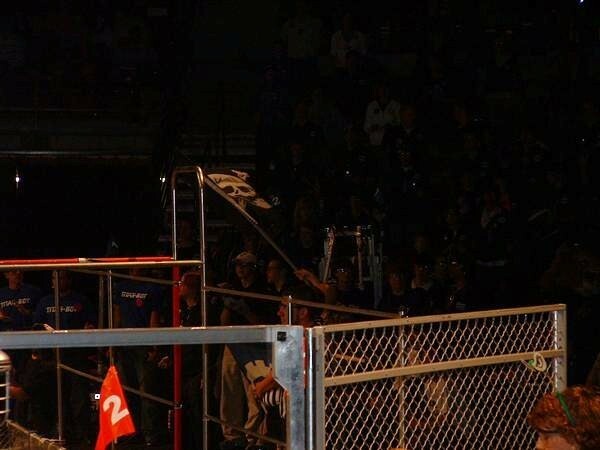 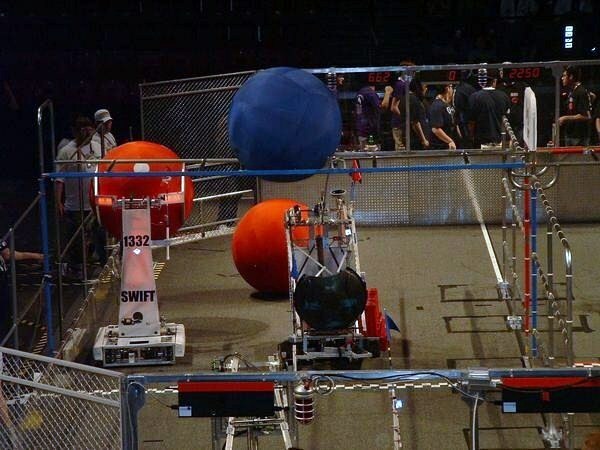 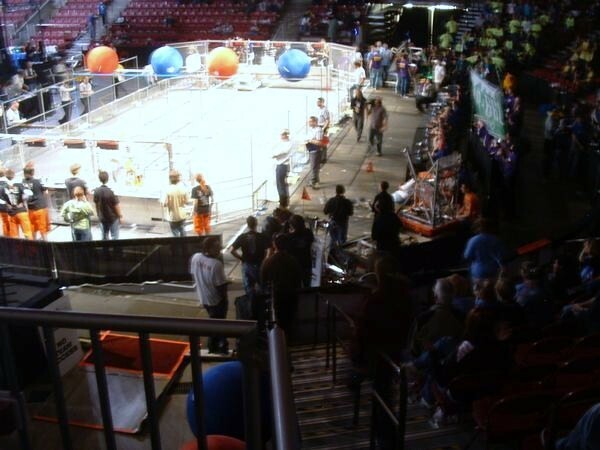 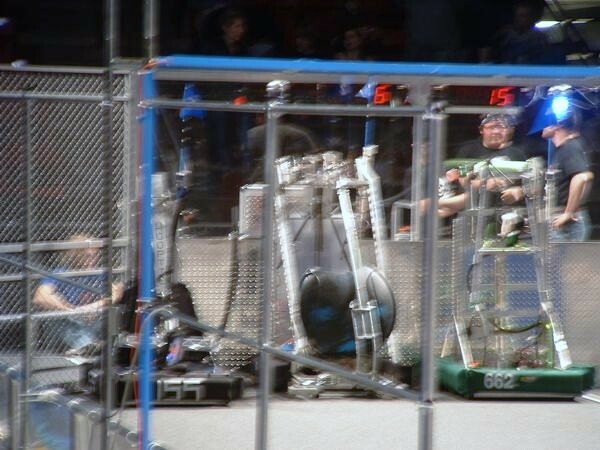 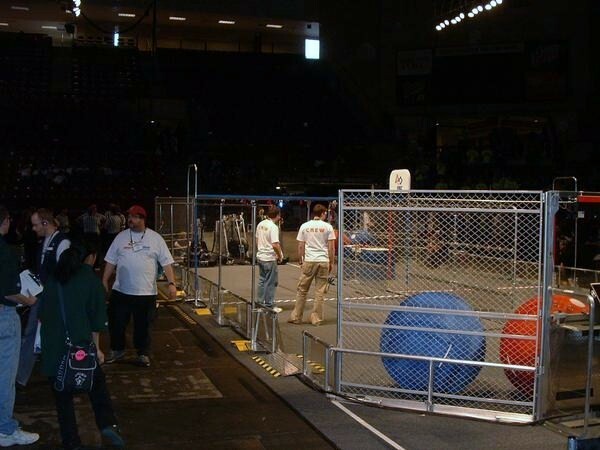 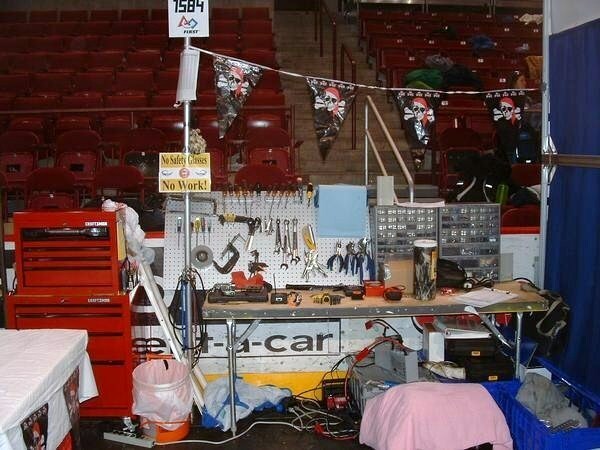 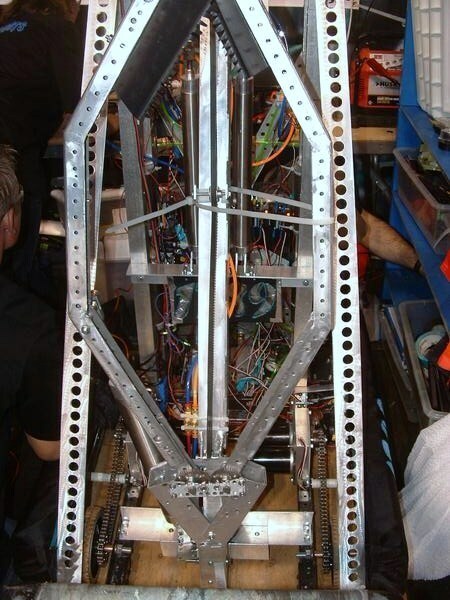 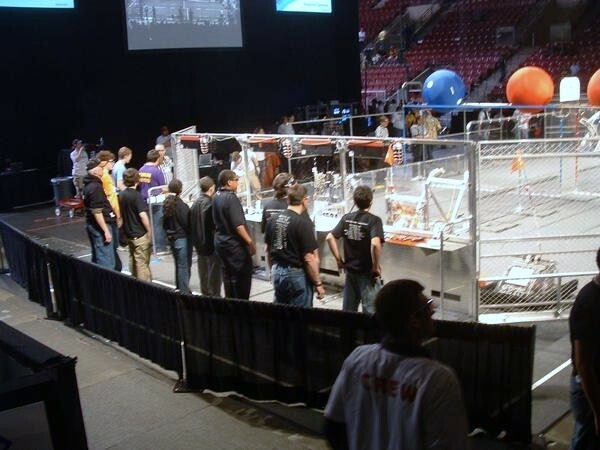 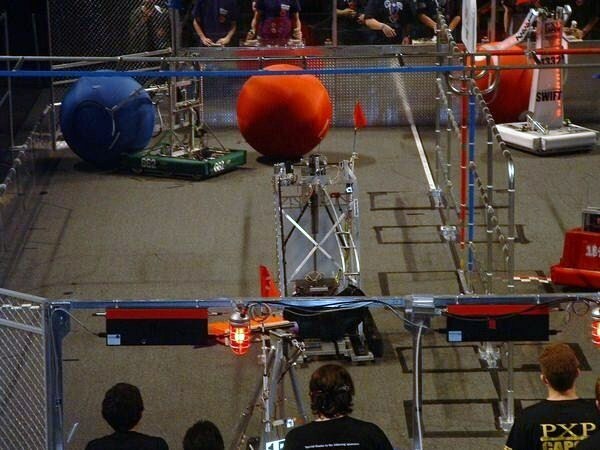 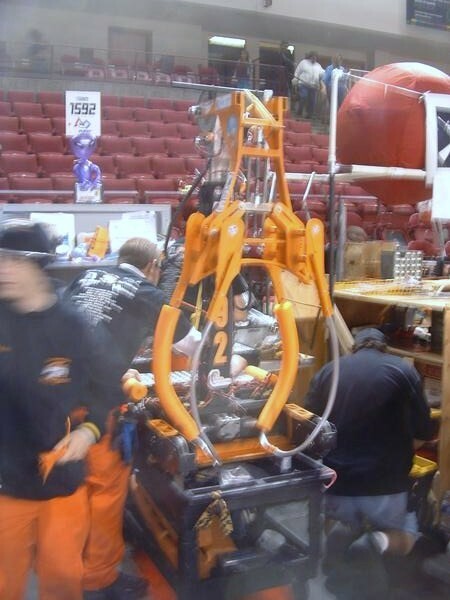 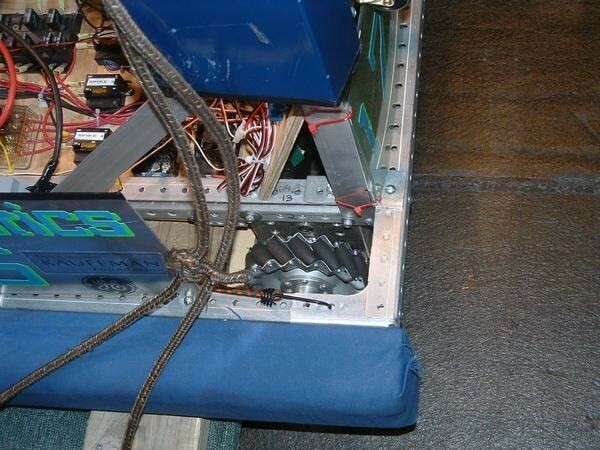 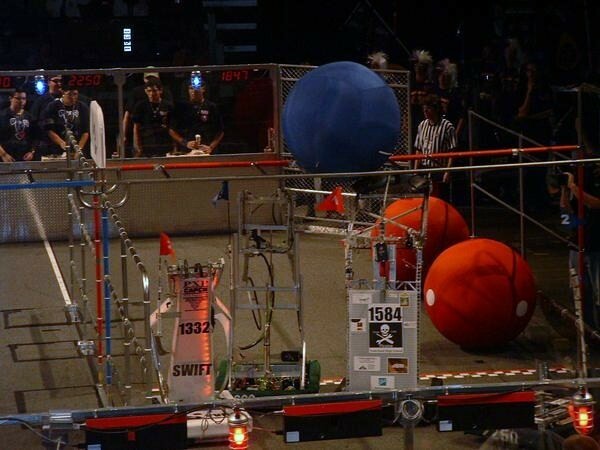 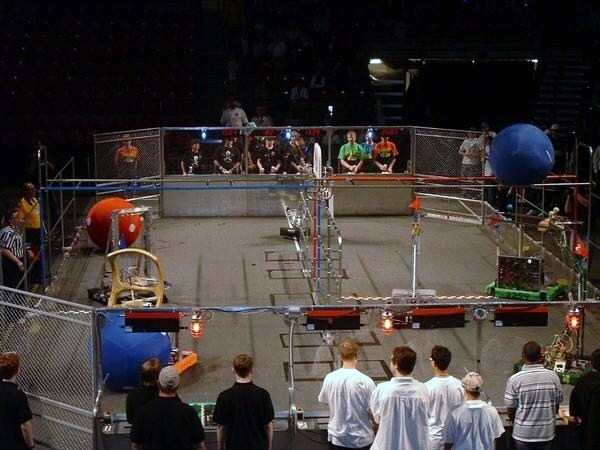 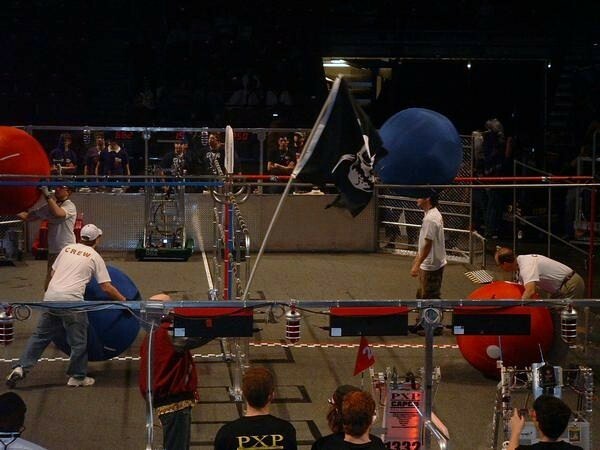 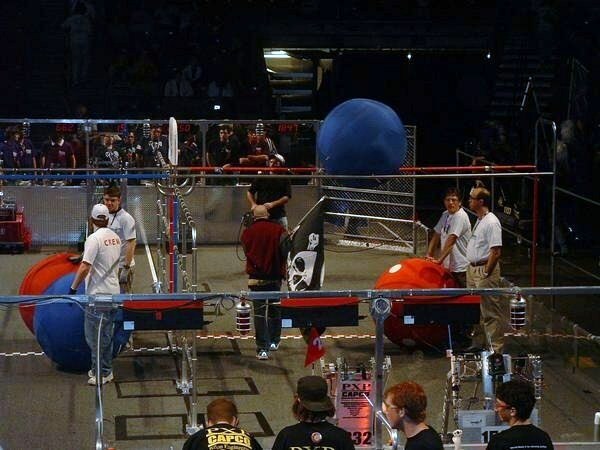 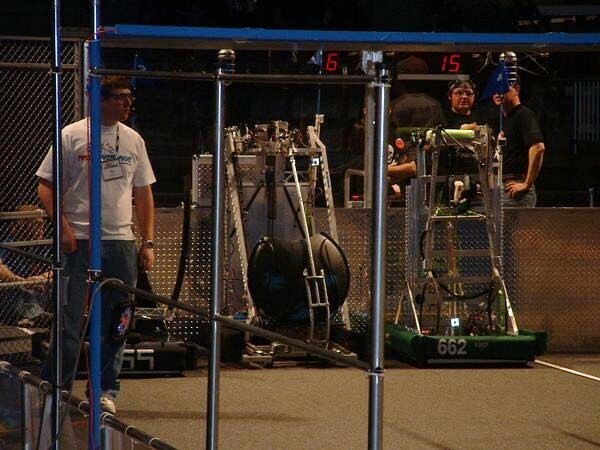 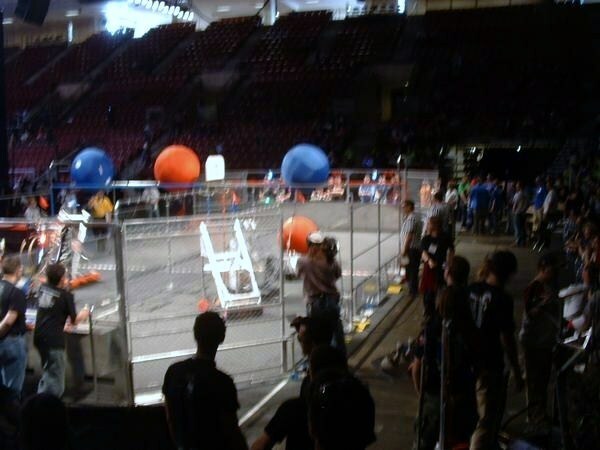 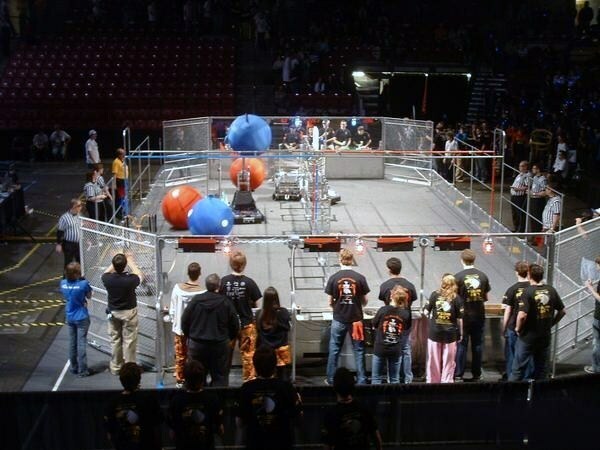 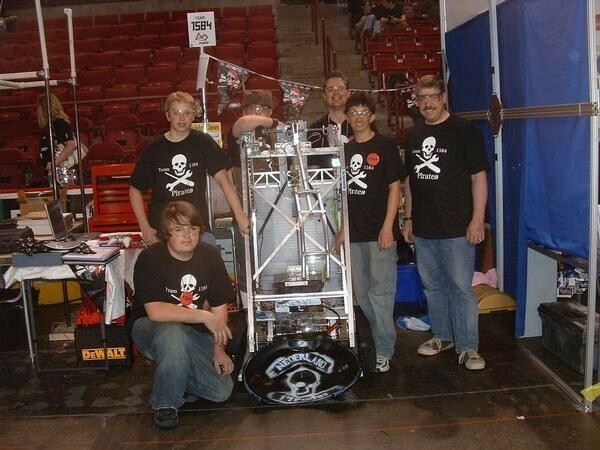 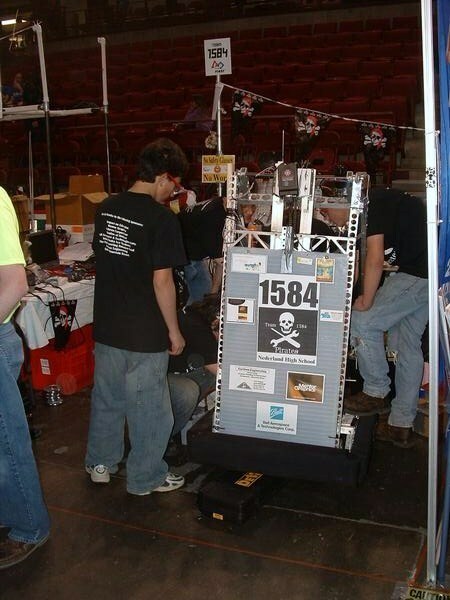 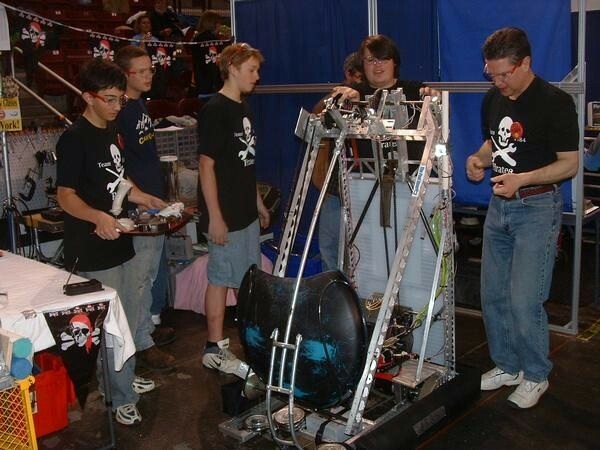 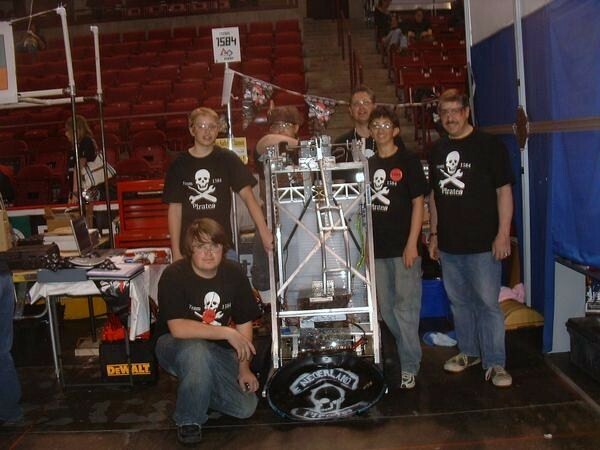 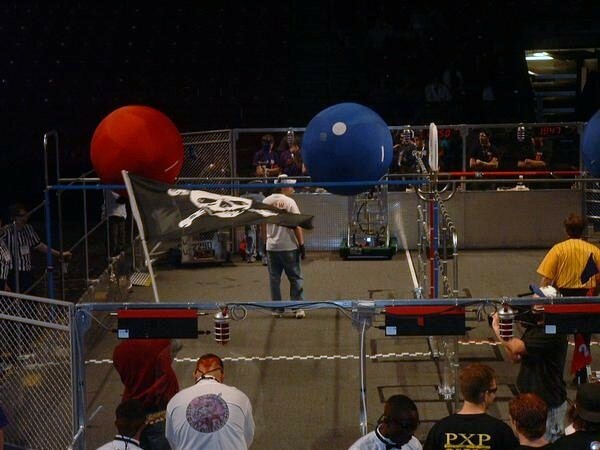 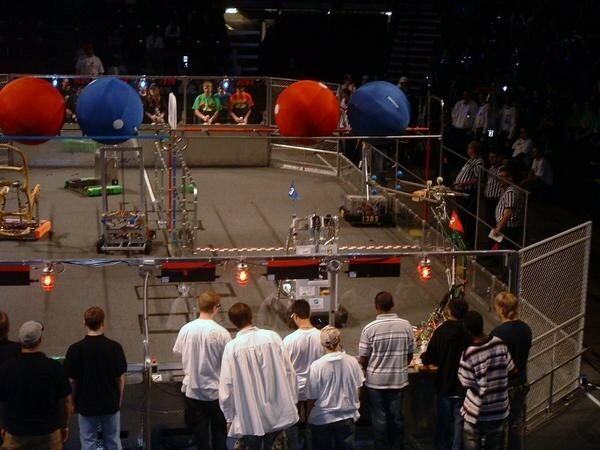 Our 2008 Pirate entry was posthumously named "FrozenBot" because it would zip around the track to a certain place and then freeze in every match. 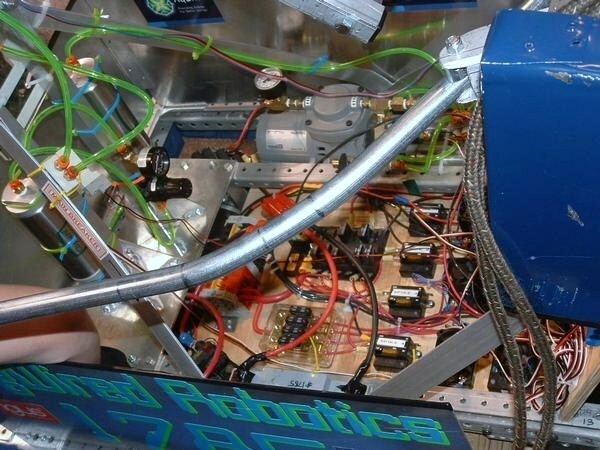 We later discovered that we had used the wrong gauge of wiring for our drive motors, so we were blowing fuses (and resetting them every 30 seconds). 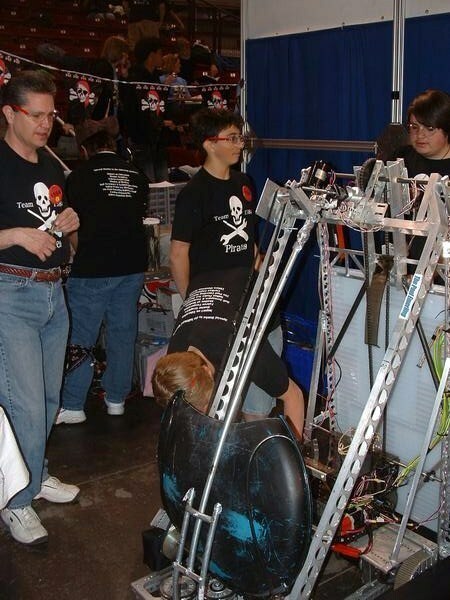 A valuable lesson learned... electronics detail is critical to Pirate plundering success. 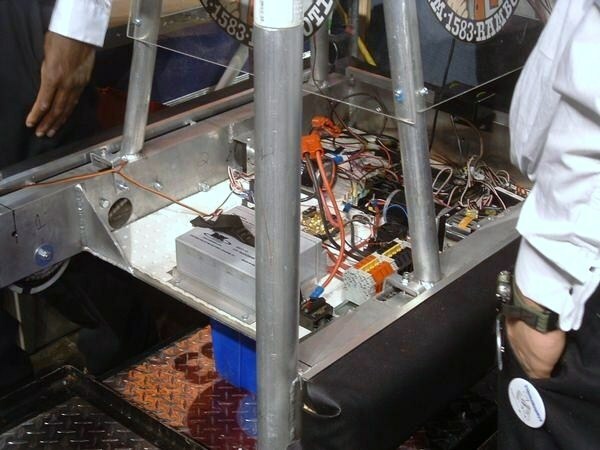 2008 also featured another innovation that didn't work out: our "electronics cube." 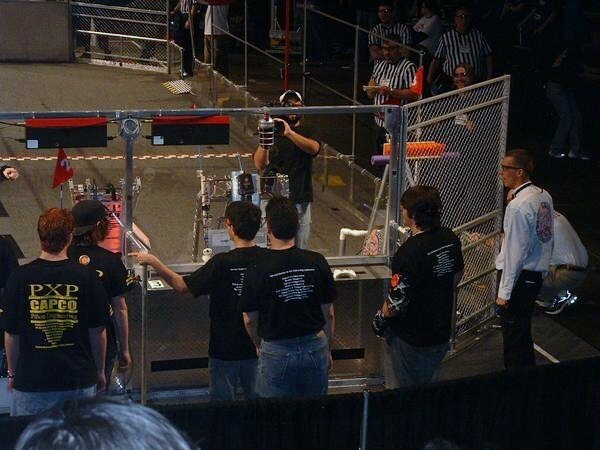 To save space on the robot, we mounted the electronics in a 3D cube that could be opened and closed at will. 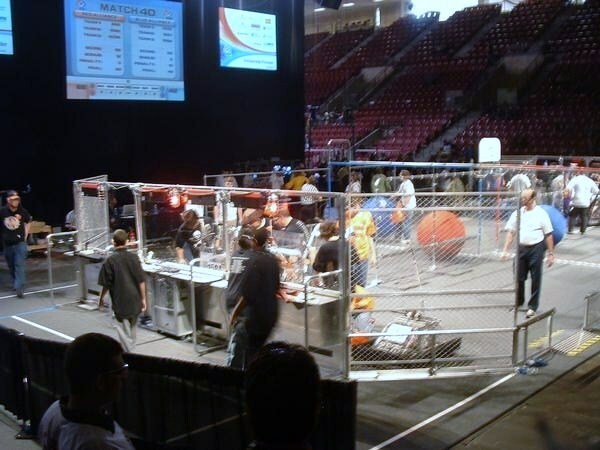 Nice idea, but poor in practice because each time the cube was opened, the movement of the cube walls tugged on the wiring connections. 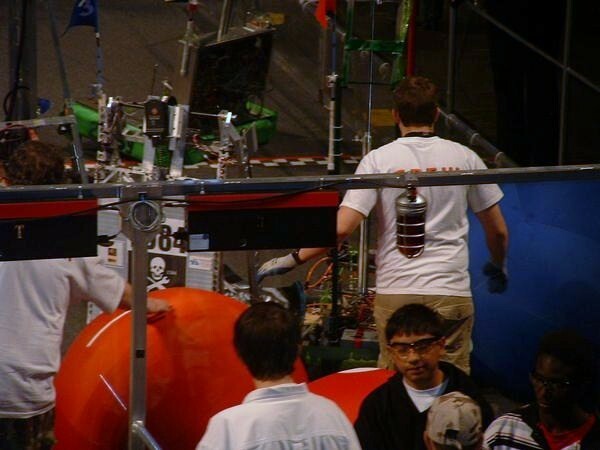 Any slightly loose connection eventually became a loose connection. 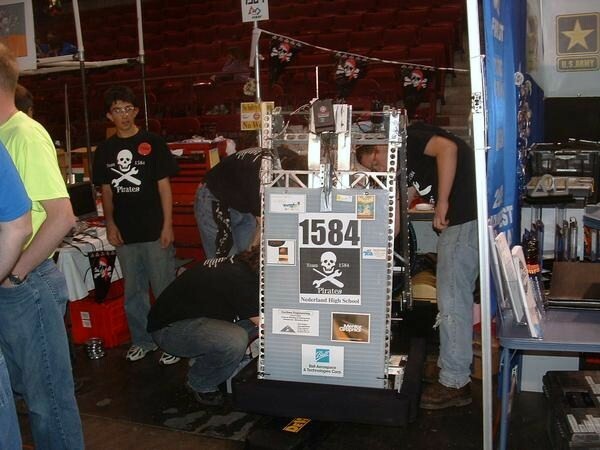 We resolved never to do another electronics cube, but the students learned some valuable lessons in the attempt.